Interesting: The video games sector now accounts for more than half of the UK’s entire entertainment market, according to a new report by the Entertainment Retailers Association (ERA). The industry is worth £3.86bn ($4.85bn) – more than double its value in 2007, and makes it more lucrative than video and music combined. The games market has grown, despite the fact that the physical console and PC games market shrank slightly in 2018, and digital also had a modest 12.5% growth. Do you enjoy WebGL tech demos? Imagine a little town with perfectly square city blocks, a park, a coffee shop, a factory, a gas station and cute little homes. Cars and trucks are driving through the streets, but as you navigate through the town, you realize that there’s a twist: no matter where you go, you’ll never reach the town limit. Infinitown is a WebGL concept made by the team at Little Workshop. It’s an attempt to create a city that is alive and fun to watch. How it was done: Little Workshop generated a finite grid of random city blocks, then the viewpoint wraps around this grid, and thus makes it seem infinite. This is quite exciting for those of you who like Bloodborne! 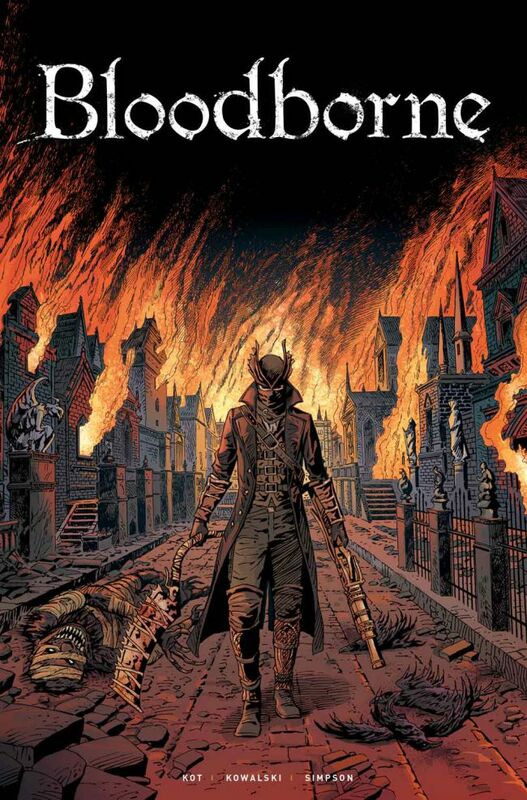 Titan Comics, who recently worked on Quake, The Evil Within 2 and Wolfenstein 2: The New Colossus comics, is going to release comics set in the Bloodborne universe in February 2018. Bloodborne: The Death of Sleep will be written by Ales Kot (who also wrote Generation Gone, Zero), with art by Piotr Kowalski (who worked previously on Wolfenstein, Dark Souls). Story wise, this is what is known: “a nameless Hunter will step forth onto the cobblestone streets of Yharnam on a quest to rid the gothic city of its beasts and unholy aberrations“. Currently, it is not clear if the comic takes place before, during, or after the events of the game… then again the Bloodborne story is steeped in riddles and obscure storylines anyway; either way, it will be a wonderful read! A lot of aspects add up to an inclusive web experience. Considerations that might not come to one’s mind in the first place — like the use of inclusive language or providing alternatives or descriptions for complex visualizations.Or, accessible considerations such as providing transcripts for audio content. To get your site on the best track of becoming truly inclusive, the magical Heydon Pickering has put together an Inclusive Design Checklist. The biggest and most comprehensive one available. It includes items for accessibility, performance, device support, interoperability, and language. Often, it’s the small things that take a user experience from good to memorable. This could be a useful tooltip, a straight-forward registration flow that doesn’t ask for the world, a simple checkout process or a useful way you’re being upsold products. For UX designers, it is important to stay up-to-date with the latest trends and to stay inspired with examples of outstanding UX. I came across a site called Really Good UX which is collecting some amazing UX details from around the web and explains what makes them so good. Definitely worth having a look!